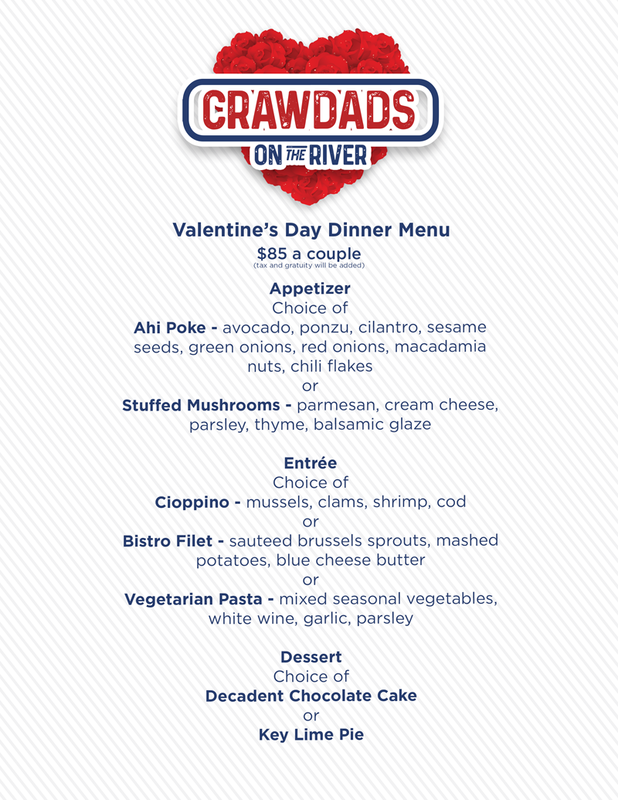 If you’re looking to plan the perfect Valentine’s Day dinner, make sure to book it at Crawdads on the River. 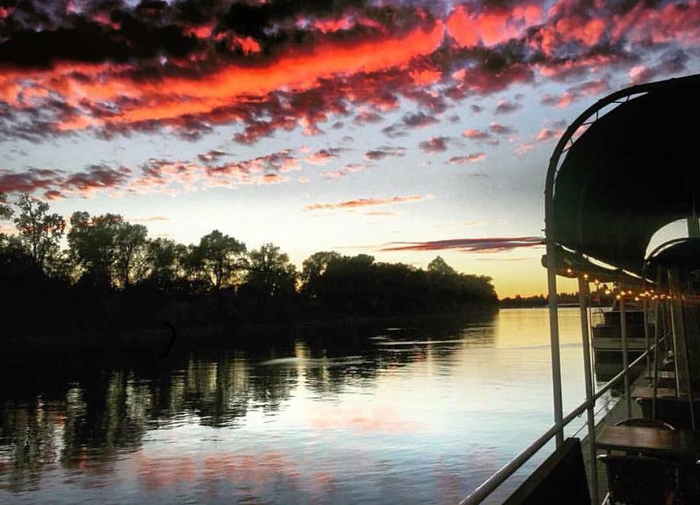 Enjoy the romantic views of the Sacramento River (and the sunset below) as you eat a delicious meal with your special someone. This year, Crawdads on the River is offering a “Dinner for 2 with a View” special for $85 per couple. Make your reservation today via the online booking option here or call 916-929-2268. Space will fill quickly, so book today! Be sure to checkout the special Valentine’s Day menu from Crawdads below.